Le Festival du Mawlid célèbre la naissance du Prophète de l’Islam de manière tout à fait originale. Il a pour objectif, à travers sa dimension artistique, d’apporter sa contribution à la richesse du patrimoine culturel français et européen. The Mawlid Festival celebrates the birth of the Prophet of Islam in a completely original way. It aims at, through its artistic dimension, to contribute its share to the richness of the French and European cultural inheritance. This evening is the occasion to discover a facet of Islam if not ignored, at least unknown, that of the festival. Far from all caricatural views. Organized for the tenth consecutive year, this Festival is presented in the form of an invitation to a journey through the sufi and traditional music of the Muslim world. By M. Feki and N. Maruani - MEMRI (Middle East Media Research Institute) Inquiry & Analysis Series N° 339- Washington D.C. U.S.A. Unlike Islamic curricula in some Arab states, the Islamic curricula in Tunisia consist of a compilation of articles and book excerpts from a variety of original sources. For example, the 11th-grade textbook on Islamic thought is a compilation of articles by 29 authors - including excerpts of books and essays by renowned scholars such as 14th-century North African scholar and historian Ibn Khaldun, 9th-10th century Iraqi theologian Abu Al-Hasan Al-Ash'ari, and luminary Abu Hamid Al-Ghazali, alongside Muslim reformist thinkers from the modern period, such as Rifa' Al-Tahtawi, Jamal Al-Din Al-Afghani, Muhammad 'Abduh, Ali 'Abd Al-Razeq, 'Abd Al-Rahman Al-Kawakibi, Muhammad Rashid Rida, and Sa'd Al-Din Ibrahim. An examination of the 11th and 12th grade schoolbooks shows that they focus on three aspects: the separation between religion and politics, individual freedom, and tolerance for the other. This report examines two textbooks on Islamic thought for the 11th and 12th grades in Tunisia, and provides a general overview of some of the books' major themes: secular versus religious rule, the necessity of avoiding religious conflict, the need for education in order to attain freedom and harmonize between religion and modernity, the value of the European Enlightenment, and the importance of consultation, tolerance and dialogue. In essence, the Islamic education curricula in Tunisia represent a continuation of the spirit of the early salafiyya (Islamic reformers). While in contemporary usage the word salafi has become a near-synonym for "radical Islamist," many of the original salafiyya, including those whose writings are included in the Tunisian textbooks, promoted a moderate form of Islam and openness to modernity. The movement was later largely subsumed into both Arab nationalism and Islamism, with Muslim liberalism being progressively relegated to the sidelines. Historically, Tunisia has been something of an exception to this trend, and this is reflected in the schoolbooks discussed here. The 12th-grade religious instruction textbook discusses religion as a possible source of conflict. A text by Muhammad 'Abduh, titled "The Relation between the Sciences and Religion, and the Spread of Extremism among Muslims" attacks the observance of practices not mentioned in the Koran: "The great number of religious people in Islamic countries who are in charge of ensuring that everyone observe religious ceremonies never mentioned in the Koran, such as burials and other ceremonies linked to the various aspects of life - births, weddings, coronations, etc. - where do they come from? And what can Muslims say today about the great number of saints, righteous men and religious leaders who create [new] religious currents throughout the Muslim world? And how is it possible that believers pray to saints, to righteous men, and to religious leaders, perhaps even more than they pray to God?" It may be noted in this context that when they were originally published, these ideas of 'Abduh's found an especially receptive ear among the representatives of the salafiyya in North Africa; the latter became engaged in a bitter polemic with the proponents of Maraboutism, a popular form of Sufism widespread in North Africa that attached great importance to the veneration of saints. By IANS/RxPG News - Westchester, CA, U.S.A.
New Delhi: The stage is set and the ambience infused with magical notes. Delhi's romance with Sufi began Thursday with Jahan-E-Khusrau, the 7th international Sufi music festival. A three day affair, the festival sees singers from America, Iran, Pakistan and India perform. But the show stealer, who has been a part of the festival since its inception seven years ago, is Abida Parveen of Pakistan. 'I don't listen to much of Sufi music but I love Abida Parveen's voice. She sings so openly and with so much of passion that one is bound to be touched by it. I will definitely try going for her performance today,' said Pragya Vats, media coordinator of Action Aid. Another Abida fan is Amitabh Sharma, a student of Delhi University. 'Sufi music is soulful music and Abida best defines it,' he said. Conceived and designed by well-known film maker and designer Muzaffar Ali, Jahan-E-Khusrau is dedicated to the memory of the Sufi legend Amir Khusrau. Quite naturally henceforth, most of Khusrau's poetry, music and qauls - are presented by the artistes during the festival. There are certain changes this year though, such as change of the venue of the programme. Instead of Arab Ki Sarai adjoining Humayun's Tomb, the venue this time is Quli Khan's Tomb near the Qutub Minar in Mehrauli. Presented by the Delhi Tourism and Rumi Foundation, the theme of the festival is 'Voice of the woman' and it sure has an eager set of audience waiting for the spell to be cast. By Richard J. Hauser - America Magazine - New York, NY, U.S.A.
For years I have stared at the five published volumes (over 2,100 pages) of Thomas Merton’s letters arranged neatly on a shelf in my Merton collection and wondered if I would ever have time to work through them. Occasionally I opened a volume to check a reference, but the massive collection of some 10,000 letters addressed to 2,100 correspondents remained largely unread. Reading Signs of Peace has been an enjoyable way to break into this massive collection for insight into Thomas Merton the letter writer and, additionally, to reflect through Merton’s eyes on two issues as crucial in our time as in his (1915-68). I believe that the only really valid thing that can be accomplished in the direction of world peace and unity at this moment is the preparation of the way by the formation of men who, isolated, perhaps not accepted or understood by any “movement,” are able to unite in themselves and experience in their own lives all that is best and most true in the numerous spiritual traditions. Merton is convinced by his own experience that religious believers who appropriate their own spiritual traditions can make bridges to other spiritual traditions and so become “signs of peace” in our world. He is emphatic that the dialogue remain on the level of experience, for only on the experiential level is communion and peace possible. When the dialogue reverts to debates over dogma and doctrine, the union is shattered. Signs of Peace pulls together Merton’s own dialogue with correspondents in major world religions: Sufism, Hinduism-Buddhism, Taoism, Judaism, Zen Buddhism. Merton readers will be familiar with the names of his correspondents: Abdul Aziz, Amiya Chakravarty, Dona Luisa Coomaraswamy (Ananda’s widow), John Wu, Abraham Heschel, D. T. Suzuki, Thich Nhat Hanh. Focusing on a theme common to Merton and his correspondent—love, wisdom, holiness, openness, compassion, courage, unity—each chapter explains the evolution of Merton’s relationship with his correspondent, gives pertinent quotations from the exchange of letters as well as from related Merton writings and concludes with an extended excerpt from a particularly significant Merton letter. Apel’s book has particular significance for our world today, combating the accusation of many that religions foment violence. Apel uses Merton’s interfaith and ecumenical correspondence to illustrate that the commonality of religious experiences can make committed religious believers “signs of peace” in a world divided by antagonisms. Committed believers will be grateful to Apel for his defense of religion, and Merton readers for this very readable one-volume synthesis of Merton’s interfaith dialogue. Jammu: A treasure house showcasing the Sufi tradition of Kashmir valley, Duggar ethos of Jammu region and Ladakh's Lama culture has been set up in the Jammu University here. Built at a cost of Rs 30 crore, provided under the Prime Minister's special package, the five-storeyed cultural centre, named Zorawar Singh Auditorium after the legendary general of the Dogra army, provides an insight into the diverse heritage and culture of Jammu and Kashmir. The fully air-conditioned state-of-the-art facility which has an art gallery, museum, cafeteria, a 1,250-capacity hall, a television production centre and an FM radio station was opened to public on Thursday. "It is a gift of Jammu University to the brave Dogras for showcasing the treasures that represent the culture, ethos, paintings, history, heritage and art besides old manuscripts of Jammu, Ladakh and Kashmir," Vice Chancellor of the varsity Amitabh Matto said. An "unparallelled" museum, Matto said, it would give a glimpse of the history through pictures and artifacts. "You can see a number of rare photographs of great leaders like Jawaharlal Nehru and Indira Gandhi and other world dignitaries who visited Kashmir," he said adding the treasure house would delight the researchers, students and tourists. The complex also offers a panoramic view of Jammu, a town dotted with Hindu temples, Bahu fort and the flat-roofed homes on both the banks of the river Tawi. From its rooftop, one can see the Trikuta hills, where the shrine of Mata Vaishno Devi is located. In the days of sahibs and memsahibs, former British resident Thomas Metcalfe’s castle at Mehrauli — Dilkusha — was the pleasure trove of the Raj. Today, the place will wake not to the sounds of White Mughals but to soul-stirring Sufi music as it plays host to the seventh Jahan-e-Khusrau festival. The intention: transfer the denizens of the city of djinns to the swirling world of dervishes; to seek out mysticism that has materialised in the poetry of Sufis. Conceived by filmmaker Muzaffar Ali, who was inspired by 13th century mystic Amir Khursrau, the three-day event at Quli Khan’s tomb in Mehrauli Archaeological Park, will give music lovers a chance to enjoy the deep, resonating voice of Abida Parveen, among others. “There is a thirst for Sufi poetry, but only very few people can quench it,” says Ali, referring to Parveen whom he calls the “spirit of the festival”. What is it that draws this Pakistani singer to Jahan-e-Khusrau? “In true Sufi spirit, it brings the singer and the listeners together,” says Parveen. You want to believe in her when she says the pull of Sufi music is irresistible. “It is God’s gift and is blessed by Allah. You don’t need to understand the language to enjoy Sufi music,” she adds. The theme of the festival is “Voice of the Woman” as a Sufi is believed to have the longing of a woman in love, but Parveen, 53, would rather not qualify her music as man’s or woman’s. “A Sufi’s spiritual world has no concept of man or woman,” says Parveen, who has moved beyond her forte of kafi and ghazal and lent her voice even to the traditional male qawwali. Parveen, who has been regularly participating in Jahan-e-Khusrau, will be performing on two days. Can the audience hope for any new elements? “I’ll be singing the kalams of Hazrat Bedam Shah Warsi and Hazrat Sachal Sarmast this time,” she reveals. While Jahan-e-Khusrau will keep her busy for now, the singer has a lot on her hands. Following the success of her album Kabir by Abida, she has decided to bring out a second one. While Parveen may be synonymous with contemporary Sufi music, the festival will also see a couple of newcomers from India and abroad. The show will open with a modern dance performance by Wendy Jehlen from the US. “My choreography is called the ‘Moth’ which portrays a moth coming out of the cocoon and getting drawn into a flame,” she says. Her performance will be followed by Meeta Pandit, a classical singer of the Gwalior gharana. “My presentation will be an amalgamation of classical Persian texts and Sufi music,” says Pandit. Another singer is Sussan Deyhim, an Iranian who has been living in the US for over 30 years, but continues to be swayed by the poetry of Rumi, Sadr and Hafiz. For somebody who grew up listening to Parveen, how does it feel to perform with her? “I had only heard her records so far and I am so happy that I will hear her in person. I even plan to ask her if she will give me a lesson,” says Deyhim. And what does Parveen think of the new generation of Sufi singers? “Every artist has a distinct style. I like to learn from all,” comes the wise reply, almost Sufi-like. Tens of thousands have been killed and hundreds of thousands displaced in the 17-year insurgency in Indian-ruled Kashmir. But a recent fall in the separatist fighting has led to the return of an unfamiliar sound. The honking of wild geese and the cackle of mallards have returned to Kashmir, with migratory birds back in the Himalayan region. Wildlife officials say more than 1.5 million migratory birds, and at least 19 different species, flew down to Kashmir's renewed wetlands and swamps this winter from Siberia, central Asia and northern Europe. That is a record since the insurgency broke out against Indian rule in 1989, they say, and many times higher than the number of visitors at the peak of violence in the 1990s, when the first survey was conducted. For years lakes gathered silt and weeds, with officials either too scared to venture out to maintain them or simply not interested. Militants used to hide in the wetlands or pass through, while security forces would patrol there. But with violence falling since India and Pakistan began a peace process in 2004 over the disputed territory, the lakes and wetlands have been cleaned and people kept away. "The insurgency brought lawlessness, all the trouble along with it, even to these poor birds," said Abdul Rauf Zargar, the wildlife warden of Kashmir's wetlands, pointing to a gaggle of geese in Hokersar lake, near Kashmir's main city, Srinagar. "Things have changed now completely. With peace returning, we are paying a lot of attention to regain the lost glory of these wetlands." Flocks of greylag geese, coots and pintails had been seen in the Kashmir valley this winter, Zargar said. At the height of winter, wildlife workers break thick ice and throw paddy for hungry birds. By Abeddayem Sallami - Al-Arab Online - London, U.K.
To what extent does the modern political discourse in Tunisia contribute to bridging relations between East and West? Has Tunisian foreign policy contributed towards connecting people of different religions? What distinguishes Tunisia in its dealing with the religious phenomenon? What are the features of the Tunisian method of opening up to others and establishing security? Does independence consist of the coloniser’s withdrawal or the freedom in taking appropriate decisions? The answers came in different analysis methods, but they were consistent in viewing the Tunisian reality at its different political, cultural and social levels. Here is a sample of the answers given. Dr Robert Besmit, Head of the Marseille-Mediterranean Co-operation Association, says that it is not strange for Tunisia, a country of radiant civilisations, to be great in its humanistic ideas and projects that manifest themselves in repeated calls to cease violence and resort to rational negotiation of difficult issues. Such calls have reached the international organisations, giving Tunisia the reputation of respecting others without being submissive to them, opening up to various identities without waiving its own cultural heritage, and calling for a fair distribution of the world’s wealth amongst the poor. Jean-Marie de Bourqueney, Minister of the Royal Church in Brussels, says that Tunisia represents the hub of Mediterranean communications thanks to its strategic geographical location, stability, and good relations with all Mediterranean countries. He also expresses his admiration for the rational attitude towards Tunisian women’s liberation enshrined in legislation guaranteeing women’s rights. Dr Jasna Samic, a specialist in Islamic Sufism at Sarajevo University in Bosnia, says that she came to Tunisia bringing concepts imposed by the 9/11 events about the Islamic religion and its relationship with Jihad. But later she noticed that the Tunisian people adhere to Islam but with much more tolerance and acceptance of others. She commented that the Tunisian elite have worked on rationalising the religious phenomenon, thus making Tunisia a country free from terrorism. It has respected religious rituals on the one hand, and contributed towards the culture of brotherhood and tolerance on the other, through its political discourse. Professor Marie-Jean Sauret, from University Toulouse II in France, says that his visit to Tunisia has made him realise that the Tunisian citizen has acquired an intellectual independence. He admits that he has now changed the ideas he held about Arab countries in general because of what he saw, since his visit to Tunisia had corrected the exaggerated concepts made in the media. From the ‘mehfil-e-sama’ of Sufi poet Amir Khusro to the shelves of our music salons, Sufiyana music (mystic tradition of Islam where love for Allah, as beloved is expressed through song) has outlived centuries. Surprisingly, this stream of divine melody has seeped into Bollywood too. And this metaphor-heavy medium has takers primarily in the youth. To validate this, is the recent Mithoon composed number ‘Maula mere’, sung by Roop Kumar, from ‘Anwar’, which has whizzed up the music charts. “Music is prayer. The young have their share of stress. Somewhere they find solace in this kind of music as the structure of Sufi lyrics is inspiring,” says the 21-year-old wiz musician Mithoon. Unconventionally-voiced Kailash Kher (‘Allah ke bande’) calls this a ‘game of energy combined with contemporary sound’. “The youth relate to the madness of melody. But while sound is technical, feelings are divine,” reminds Kailash. The Library of the U.S. Congress held a ceremony to mark the 800th birth anniversary of the prominent Persian poet Rumi early this week. Organized by Kog Holding, the largest Turkish company, the ceremony was attended by a number of American and Turkish literary and political figures. 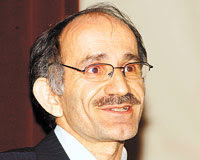 Tal'at Halman, Chairman of the Department of Turkish Literature at Bilkent University in Ankara, addressed the gathering on the life and poetry of the poet who is known as "the poet of nations." Jalal ad-Din Mohammad Balkhi known in the West as Rumi was born on September 30, 1207. Rumi's major work is Mathnavi, a six-volume poem considered by many to be one of the greatest works of both Sufism and Persian literature. Rumi's other masterpiece is the "Divan-e Shams", named in the honor of Rumi's great friend and inspiration, the dervish Shams, comprising some 40,000 verses. Strasbourg: One of the latest events to focus on the 13th century philosopher and Sufi saint Mevlana Jelaluddin Rumi took place in the French city of Strasbourg at an international panel where Mevlana's humanism and his contributions to dialogue between religions were discussed. The meeting, which included academics from France and Turkey, underscored the view that Mevlana's philosophy cannot be assessed separately from Islam and the tradition of the Prophet Mohammed. Organized by the Strasbourg Intercultural Dialogue Foundation, which was founded by Turkish academics, the panel featured one scholar of Sufism, Professor Eric Geoffrey, who asserted that due to today's judgmental stance towards Muslims Mevlana's Islamic roots were being ignored by many. Geoffrey explained that though the work and thinking of Mevlana had gained prominence in the West over recent years, most Western sources took Mevlana out of the context of his Islamic roots. The professor also noted that in both the US and the EU, Sufism was being stripped of its links with Islam and being presented as a sort of "new age religion." Geoffrey referred to these efforts as a form of "religious racism" and noted that it was the Prophet Mohammed and the Koran which had provided the sources for Mevlana's humanist understanding, one which is so universal as to still be fitting in today's world. He emphasized that one could not think of Mevlana independently from Islam. "Mevlana is today presented as someone broken off from his Islamic roots, like a new spiritual leader. Even today many people have no idea that Mevlana's first name was Mohammad. In many western books on his life they don't have the courage to use this name." Geoffrey also mentioned Mevlana's good friend and teacher, the scholar Semsuddin i-Tebrizi, who in Western writings is portrayed as being a "wanderer and hippie-type person," but who was actually a respected Islamic thinker. Professor Cihan Okuyucu from Istanbul's Fatih University talked about traces of Mevlana's philosophy in modern Turkey, pointing to Fethullah* Gülen's efforts at encouraging intercultural dialogue as an example. Okuyucu noted that Gülen's activities aimed at promoting tolerance and dialogue were inspired by the philosophy of Mevlana. Sorbonne University faculty member Fabio Ambrosio spoke about the importance of Mevlana for the Christian communities living in Anatolia, while Leili Anvar-Chrendorff from the French National Eastern Languages and Civilizations Institute (INALCO) focused on the basic elements of Mevlana's "spiritual humanism," which embraces all religions. Later, Professor İlhan Özkececi from Fatih University presented a short concert of Mevlevi music. The end of the program was marked by poetry readings from the Mesnevi and a concert of religious chanting. Guests at the panel included local government officials, as well as consular officials and members of the European Council. Un grand concert de musique soufie incluant des partitions inédites a été donné, lundi soir, au majestueux site palais Mansour à Meknès, par l'orchestre Thami Harraq de Tétouan en ouverture des deuxièmes nuits soufies de la cité ismaïlienne. A great concert of sufi music including new partitions was given, Monday evening, within the majestic site Mansour palace in Meknes, (Morocco) by the Thami Harraq orchestra of Tétouan; it was the opening of the second Sufi Nights of the Ismaili city. These evenings, organized by association “Ikhwan Assafa” (brothers of purity), under the High patronage of HM King Mohammed VI in commemoration of the birth of the Prophet Sidna Mohammed (pbuh), aim at encouraging the opening to social sciences and the various literary and philosophical tendencies, as well as to tolerant knowledge far from any extremist current. 10e Festival du Mawlid, dimanche prochain à Paris. Le dixième Festival du Mawlid, célébrant la naissance du Prophète Sidna Mohammed (paix et salut sur Lui), sera organisé dimanche prochain à Paris par "l'Association internationale soufie alawiya" (Aisa) et l'Association "Terres d'Europe". 10th Festival of Mawlid, next Sunday in Paris. The tenth Festival of Mawlid, celebrating the birth of the Prophet Sidna Mohammed (peace and blessings upon Him), will be organized next Sunday in Paris by the “Alawiya International Sufi Association ” (AISA) and Association “Grounds of Europe”. In preamble with this Festival, the two associations will organize on Thursday [March 29] at the Institute of the Arab World in Paris, a conference entitled: “Mawlid in Islam: forms and uses of a rite”. The role of AISA is to work for a better knowledge of Sufism which is a vector of spirituality and peace. Composer Can Atilla and actor Semih Sergen aim to bring Mevlana Jelaluddin Rumi's teachings of universal tolerance to the world stage through an oratorio marking the 800th anniversary of the Sufi saint and poet's birth in Balkh. Based on Mevlana's life and teachings, "Mevlana Oratorio" was composed by Atilla, with a libretto by Sergen, and will be performed by the İstanbul Opera and Ballet Orchestra and Choir. The world premiere of the oratorio will be held at Hagia Irene in İstanbul on April 7, with the orchestra conducted by Serdar Yalçın and the choir directed by Gökçen Koray. "We decided to compose a polyphonic piece about Mevlana as part of a common project with the Ministry of Culture and Tourism," Atilla told the Anatolia news agency. A 200-member orchestra and choir will participate in the performance, in an arrangement borrowed from Wagner, according to Atilla. "The number of wind instruments and stringed instruments are similar, leading to the magnificent and harmonic orchestra sound we were after." The project was inspired by Sergen's book "Gönüller Işığı Mevlana" (Mev-lana Illuminating Hearts) in 2006. "The libretto was written by Sergen, who has researched and written about Mevlana for 54 years. This cooperation is a great pleasure for me," he added. The piece consists of 11 sections; 10 tell about Mevlana's life from childhood to death and the last one includes excerpts from "Divan-ı Kebir" and "Mesnevi." Sergen will read poems for the dramatic piece, which also contains a short dervish performance. The İstanbul State Opera and Ballet Orchestra and Choir will also stage the production on April 10 and May 8, and the oratorio will be performed during the Aspendos Opera and Ballet Festival in July. The team hoped "Mevlana Oratorio" would also be performed at the Vatican and in New York, added Atilla. "This will be a significant contribution to the introduction of Turkey to the world as well as conveying the teachings of Mevlana, a global treasure, to the whole world." Atilla said he has always been interested in Mevlana's teachings and that he had the opportunity to gain more insight into the teachings of the Sufi saint since the preparation phase for the oratorio. "I had delightful moments while I worked on it. I felt I passed beyond a gate that I never knew before. Everyone should read Mevlana's pieces. His poems are guidance and magnificently written. Anyone without acquaintance with his oeuvre misses out on a great deal." Turkish musicians should write pieces for the repertoires of the world's top orchestras, Atilla urged. "Contributions can be made to Western music while also preserving the core values," he said. "I believe the 'Mevlana Oratorio' will reach a huge audience, provided it is taken to international platforms. This is not a project for Turkey alone but for the whole world. The piece will find its own way after the first performance," he said. Pakistani Sufi singer Abida Parveen is widely known for having one of the most powerful female voices in the Sufi world. Also known to stay away from the mainstream unlike many of her contemporaries, the one festival that brings her India is the Jahan-e-Khusrau. CNN-IBN caught up with her in New Delhi just days before the festival kicks off. Reshil Charles: We saw you last at the Jahan-e-Khusrau and now again at the same festival. What has kept you away for so long? Abida Parveen: I was busy. I had other commitments and that consumed a lot of my time and most of the year. Reshil Charles: Sufi singers like Nusrat Fateh Ali Khan and his nephew Rahat have marketed themselves well. They have associated themselves with Bollywood. But you have kept away. Why so? Abida Parveen: It is important to sing from the heart. And when the singer is able to strike a chord with the audience, nothing can be better than that. As a boy growing up in Rajasthan, Rajkumar Rizvi remembers being led to the desert dunes for daily riyaz by his father, Noor Mohammad Khan. In the stillness before dawn, the Ustad would instruct the future ghazal expert into nuances of ragas such as Bhairav and Lalat. From those early memories, Rajkumar recollects a song Lagan bin jage na koyi (Without wedding no one keeps awake) that celebrates night birds such as the anxious mother with her mewling child and the sage ‘married’ to the Lord, who alone are immune to the wiles of the God of Love. Their riyaz also included verses from Masters like Sheikh Fareed and Amir Khusrau, which conceal sublime messages under their earthy images. Khusrau’s famous swan song composed after the death of his Master, the Sufi sage of the Chistiya order, Nizamuddin Aulia, talks, for instance, about the beloved sleeping with her face covered (Gori sohe sej pe mukh pe dhal ke kes). But it’s the Master, whose demise has darkened the world, signalling the poet to depart as well (Chal Khusrau ghar aapne ab saanjh bhayi chahu des). Today, Rajkumar is grooming his talented daughters, Runa and Neha, to handle the intricacies of Hazarat Khusrau’s compositions. Although the milieu has changed dramatically — a flat in a high-rise tower has replaced the susurrating sands of Rajasthan — the rigour of the riyaz remains unchanged. That’s the soul of our classical tradition. It has always balanced continuity with change, to welcome all sorts of diversities in its fold. For example, Basant Panchami, the ancient Hindu spring festival of colours, is also celebrated by many Muslims in India, especially at the tomb of Hazrat Nizamuddin in Delhi: as perfumed clouds of kesar, abir and gulal rise, the identities of Master and disciple seem to disappear in the riotous exchange of colour. Even as the 700-year-old festival started by the Chisti Master and his multi-talented disciple continues unbroken, novel forms for the New Age such as the Jahan-e-Khusrau Sufi music festival (which begins at the end of the week in Delhi) have blossomed. Muzaffar Ali, the painter-film-maker-fashion-designer who started the festival as a tribute to Hazrat Khusrau’s creative spirit, and to contemporise Sufi music for younger audiences, firmly believes that only the artists of the region have the power to restore peace to the partitioned subcontinent. The Punjab Auqaf Minister Syed Saeedul Hasan Shah inaugurated the two-day long 383rd Annual Urs of Hazrat Mir Mohammed Muayyinul Islam popularly known as Hazrat Mian Mir, on Tuesday. The Urs activities started with the laying of a ‘Chadar’ over the grave of the Sufi saint and a collective prayer. Elaborate lighting arrangements, special ‘Mehfil-i-Mausiqee,’ dances of the devotees, collective prayers were the salient features at the ‘Darbar of Hazrat Mian Mir. This famous Sufi saint who resided in Lahore, belonged to the Qadri order of Sufism. He was also the spiritual mentor of Dara Shikoh, the eldest son of Mughal emperor Shah Jahan. from March the 30th to April the 1st . Three days of extraordinary concerts will mark the opening of the exhibition "Splendori a Corte", arts and crafts from the Islamic world in the Collection of the Aga Khan at Palazzo della Pilotta, Parma. The exhibition will be open from March 31st to June 3rd. Music and musicians have historically played a vital role in the cultures of Central Eurasia and the Middle East. Music traditionally served not only as entertainment, but as a way to reinforce social and moral values, and musicians provided models of exemplary leadership. In 2000, recognition of this important role led His Highness the Aga Khan to establish the Aga Khan Music Initiative in Central Asia (AKMICA) with the aim of assisting in the preservation of Central Asia's musical heritage by ensuring its transmission to a new generation of artists and audiences. AKMICA is part of AKDN, the Aga Khan Development Network. Among the groups that will perform in Parma, the "Ensemble Badakhshan": Aqnazar Alovatov, vocalist; Sahiba Davlatshaeva, dancer; Shodikhan Mabatkulov, daf percussionist; with a repertoire of spiritual islamic songs (Maddahis) built upon texts from Jalal al din Rûmi, the 13th century great sufi poet. As the Mela Chiraghan heads towards its end, thousands of men, women and children continue to flock at the shrine of Shah Hussain, the Sufi poet and saint of Punjab who was one of the most radical supporters of human freedom and always resisted oppression and injustice. Born in Lahore, Shah Hussain (1538-1599) lived during the time of the Mughal emperor Akbar. He was born in the year when Baba Guru Naanak (1469-1538) passed away. Shah Hussain was the son of Sheikh Usman, a weaver, and belonged to the Dhudha clan of Rajputs. He received early education in a mosque, and his areas of study included Qur’aan and Sunnah, Sharah [the high road to religion, the faith, law, justice and equity, as proposed by Islam and expounded by the Prophet Muhammad (PBUH)] and Tafseer, Hadith, Fiqh, religious texts, prosody, literature, histories, etc. 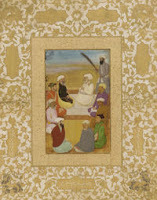 As a young man, Shah Hussain became a disciple of Behlol Daryaee of the Qadria order of Sufism. Bhakti/Bhagti (the ‘way of devotion’, later seen as the ‘way of love’), prompted by the Bhagavad Geeta, had been synthesised with the great influence of Ibne Arabi’s writings and commentaries, and an emphasis on Wahdatul Wajood (Unity of Being). These developments steered people towards Sufism. Shah Hussain’s relationship with a young Brahman, Madhu, from Shahdara, from across the River Ravi, is well-known. Madho was 38 years younger than Shah Hussain. It is speculated that Shah Hussain’s name was Laal Hussain (or he was so known because of the Laal/red garment he is reported to have worn), and/or Madho’s name was Madho Laal. If both their names were Laal then the composite name by which the poet is also known - Madho Laal Hussain would be a public declaration that they were ‘one item’. And Laal is also the colour symbol of the mature love in Sufi lore. Only in one ‘Kafi’ Maadho directly addressed (as Laal). Madho’s affection for the poet may be that of a disciple for a most revered teacher, in this case fully reciprocated by Shah Hussain. They are buried in the same grave in Baghbanpura, Lahore, near which, about half a century later, Shah Jehan had the famous Shalimar Gardens constructed. According to tradition, at the age of 36, Shah Hussain, who was seeped in the Qur’aan and Sunnah, turned away from prayer, put on red clothes and started singing and dancing in the streets of old Lahore. Dara Shikoh (1615-1659) says in his book ‘Shathiaat’ that this change came in Shah Hussain when he was reading an ‘Ayat’ of the Qur’aan which says that the world is sport. What the poet drew from this is not recorded. But ‘play’ became a significant theme of Shah Hussain’s verse. Another tradition says the opposite. It depicts that the ‘Malamati’ (self-reproaching) methodology of Shah Hussain was also a way of dissembling to escape the king’s grasp. This tradition suggests that the poet was a supporter of Dulla Bhatti who had rebelled against the king. Indeed the day Dulla Bhatti was hanged, the poet is said to have been in the same prison. But there is no documentary evidence of this. The grave of Shah Hussain and Madho became a shrine with attendant custodians and worshippers. Under the patronage of Moraan, a professional woman and courtesan of Ranjit Singh, a mela (fair) started at the time of ‘Basant’ later called Mela Chiraghan (festival of lights), or Mela Shalimar, which is still held every year at Baghbanpura, Lahore. Thousands of devotees thronged to the shrine of Hazrat Shah Hussain commonly known as Madho Lal Hussain to celebrate the traditional Mela Chiraghan (festival of lamps). The time of Shah Hussain, Dullah Bhatti and Akbar was the same. It was Shah Hussain who wrote ‘Kehae Hussain Faqeer Sain Da Takhat Na Mildae Munge’ in those troubled times. Besides Lahore, a large number of devotees from other cities especially Karachi, Sehwan Sharif and Multan came to attend the festival. Professional drum beaters accompanied most of the groups visited the shrine and youth as well as old people and some women danced to the deafening tunes and drum beats. Devotees sat in and around of the shrine in groups to witness a large number of performing artistes who mostly sang Shah Hussain’s ‘Kafis’ and danced to the drums. Shah Hussain is the first Punjabi Sufi poet who mixed Punjabi with Pothohari, Hindi, Persian and Arabic. His ‘Kafis’ are so simple that one understands his message without any difficulty. Thousands of devotees from various parts of the country visited the shrine of Hazrat Madhu Lal Hussain on Sunday on the second day of the urs celebrations. Some of them laid floral wreaths on the grave of the sufi and distributed niaz (food). Others recited verses from the Holy Quran or sang Punjabi poetry to pay homage to the sufi. Roads leading to the shrine were jam-packed with devotees and temporary stalls of flowers, rosaries, toys, food, jewellery and clothes did roaring businesses. The Auqaf Department held a mehfil-e-sama and a qira’at and a na’at competition besides a seminar on Sufism at the shrine on Sunday. The urs celebrations will conclude on Monday (today) when only women are allowed to enter the shrine. "Karawane der Liebe muss weiterziehen"
The oriental decoration in Villa Schnitzler could hardly be more fascinating. It is reminiscent of tales from a Thousand and One Nights in which the Sufis interpret their message of love, harmony, and beauty in their own way. An unusual evening dedicated to the mystics of Islam. Many Islamic traditions such as Sufism are little known in the West. The West is unfamiliar with a peaceful Islam and its history and therefore also with the possibility of balance and dialogue between religions and cultures. Sufis, who have been carrying the mystical tradition for centuries, do not see themselves as bound to certain dogmas, rituals, or spiritual techniques. This is what the participants of the cultural event “Caravan of Love” learnt at the invitation of the Wiesbaden school of continuing education and the West-East Divan. Far more central to Sufi teaching is love in the sense of turning to God. Sufis believe that love impresses itself on the universe through the projection of the divine essence and that mysticism stands beyond religion and even demands that it be so. The Sufis purify their hearts and consequently the spirit through lifelong spiritual practice and continuous repetition of the Names of the Creator. Their path demands that the seeker constantly strives to experience the Real in this life rather than waiting until after death or being satisfied with a purely intellectual understanding. In accordance with the principle that faith is reflected in action, the Sufis prefer acting in the world with good example than to debating about the faith. The guests of the ‘caravan’ heard that Jesus is the prophet of love in Islam and therefore seen as the Prophet of the Sufis. The majority of Sufis today work from the central premise that the Creator God “is an inseparable component of all being and the whole world”. It is the privilege of God to lead to the light whomever He will. Music as an expression of joy in the Presence of God is an important aspect of Sufi teaching, often consisting only of songs but also with instrumental accompaniment. Therefore the participants of the ‘Caravan’ felt the concert and story telling evening with Peter Hassan Dyck was a special experience grounded as he is in the musical traditions of India and the East and well known throughout Europe. The quest for liberation and the path leading up to it has been metaphorised and expressed richly in various cultural traditions through music, poetry and dance. Jalaluddin Rumi's mystical legacy, for instance, continues to inspire generations, transcending all ethnic boundaries, reverberating in every corner of the globe. Rumi was a passionate musician who believed that music and dance were to be seen as spiritual disciplines in themselves, a perfect trigger to lead the soul to higher dimensions a concept and philosophy which led him to found the order of the Mevlevi, the dance of the whirling dervishes, the "Sema" or turning, the sacred ritualistic dance, which represents the journey of the seeker who turns to truth through love and abandonment of the ego. Rumi's meeting with his preceptor Shams-i-Tabrizi, is considered the great catalytic point of Rumi's life, which converted him from an intellectual scholar to a passionate Sufi. The intense call was evocatively penned by Rumi as "the drum of realisation of the promise is beating/ we are sweeping the road to the sky/ your joy is here today, what remains for tomorrow...". But Rumi also saw inner transformation as an arduous process, almost painful, since it required the death of the ego. Rumi talks of the Islamic concept of Oneness: "What is Tawhid? To burn oneself before the One", says Rumi in his Mathnawi. Man has to die unto himself to be one with that divine consciousness. The death of the ego stands at the heart of Rumi's thinking, and is quite physically embodied in the swirling movement of the sacred dancing he evolved as a measure to attain truth. Dance became a rhythmic expression of dhikr or remembrance. As Rumi would put it "...whatever there is, is only He/ your footsteps there in dancing/ the whirling... see... belongs to you/ And you belong to the whirling...", a kind of remembrance that the whole universe there is whirling around Him. 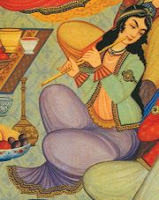 Equally magically, Rumi loved the "ney", the reed flute, and saw in it a metaphor for the seeker himself: "...listen to the reed, and the tale it tells, how it complains of separation...". The wandering minstrel that he was, he saw music and dance not just as expressions of divine love, but complete 'paths' in themselves, in which the bliss of divine communion could be experienced easily. The true spirit of the Sufi is musically sketched as "...we are the flute, our music is all Thine/ we are the mountains, echoing only Thee...". The ecstatic flight into the Divine was, for Rumi, best embodied in the path of music, "helping the seeker focus their whole being on the Divine... and in doing so the ego is destroyed and the soul resurrected". In quintessential Sufi style, he reaches out by declaring his mission as one of love, where "...love's nationality is separate from all religions. The lover's nationality and religion is the Beloved". Shahram Shiva cites this as the enduring legacy of Rumi, "...where the world of Rumi is neither exclusively that of a Sufi, nor that of a Hindu, Jew or Christian... it is the highest state of a human being, a fully evolved human being...". It is a testimony of the universality of his mystic-musical appeal that Rumi concerts are being organised worldwide in this International Year of Rumi. Kailash Kher, the Indian maestro of popular Sufi music celebrates the one year success of his album "KAILASA" which means heaven in Sanskrit. The songs "Teri Deewani" and "Tauba Tuauba" topped the charts in India, breaking all musical records. Sufi music is about life, affinity, love, reality and the ultimate search for God and with his spiritually powerful and mystical voice he has captured the hearts of millions allover the world. Kailash on the success of his album says: "It takes years of singing chorus after chorus and even then the best of singer could go unnoticed, God has blessed me with just a few years of great work in the industry and remarkable support from my peers to which I am very grateful". Kailash hit the limelight with the smash hit Allah Ke Bande, part of the soundtrack for the movie Waisa Bhi Hota Hai II. His is a virtual rag to riches story rising from being a homeless resident of Andheri Station, Mumbai, during his initial struggle to being on of the most popular singers in Bollywood Folkfore. "Only God can make these criminals understand"
Filling into the shoes of a maestro like Ustad Nusrat Fateh Ali Khan is no mean task, but this modest young man from Pakistan is not only continuing the legacy of the legendary Sufi singer with absolute elan, he has carved a niche for himself in the global music scene as well. Ustad Rahat Fateh Ali Khan, nephew of Nusrat Fateh Ali took up the charge of his uncle's Qawwali troupe in 1997 after his untimely demise. Since then he has not looked back. While his Sufi renditions have left audiences spellbound world wide, his recent forays into Bollywood have resulted in many blockbuster songs. "Recently I have sung for Himesh Reshammiya in the film 'Namaste London'. It was a very nice experience working with him," he says about his recent Bollywood venture. "I have also recorded two songs for two upcoming films of Sanjay Gupta. The music in these films is by Anu Malik and Anand Raj Anand," he says. On his experience in the Indian film industry so far, he says, "Its been a superb experience. Its a good platform for singers like us". Being from the Sufi tradition of music, the 33-year-old feels the young generation has a huge responsibility to conserve these ancient musical genres. "At times we tend to be too westernised. The youth should not forget their roots and help in conserving these traditional musical forms such as sufi music," he says. Despite all the western influences in Indian music, Sufi music continues to rule, feels the scion of noted Qawwal Farrukh Fateh Ali Khan. "In all the new music done here, Sufi touch is being used. It was popular among the people and will continue to be so," Rahat says. Reacting to the recent violence in the Samjhauta Express, he says, "Through music we have always tried to spread the message of love and friendship. But probably only God can make these criminals understand". Unveil the Sun is a musical based on the eponymous book by scholar Amrit Kent. The musical will be staged at 7 pm at Stein auditorium, India Habitat Centre, New Delhi, India, on March 24 and 25. Eight hundred years after Maulana Jalaluddin Rumi danced and sang about Love and God in the streets and vineyards of Konya, modern culturatti are still tracking his footprints, searching his soul in translations and erecting little memorials of their own. Rumi is on MySpace and Madonna’s lips, listened to by Deepak Chopra and Demi Moore. Somehow, he still makes sense. As UNESCO celebrates the International Year of Rumi, Delhi — that has been chosen as one of the centres for celebration — is gearing up for it with a musical, a movie and more. Septuagenarian scholar Amrit Kent says : “People all over the world are rediscovering Rumi’s poems, but in India, the awareness is still in a nascent stage.” Kent, a member of the Red Rose Society, a congregation of scholars who celebrate Sufism, would like to translate the play into Urdu. There are also plans to take it to the Peerzada festival in Pakistan in November. Filmmaker Muzaffar Ali, who has been working on a film on Rumi for two years now, plans to release it this year. “The events that are happening in the run-up to the release are creating a good atmosphere for the film,” says Ali, whose upcoming festival of Sufi music, Jahan-e-Khusrau, will feature Rumi’s verses. “Under the Rumi foundation, we will also bring out a Sufi journal,” he says. By September 30, when the world celebrates Rumi’s birth anniversary, the words on his tomb would have come true. Shah Abdul Latif Bhitai is one of the great Sufi poets and mystic of the entire Muslim world of 18th century. He is a prominent enlightened humanist, who firmly believed in the metaphysics of the unity of being and turned the socio-psychological implications of this metaphysics into subjects of his impressive poetry. This was stated by various speakers talking about the life and works of Shah Latif at a seminar jointly organised by Pakistan Academy of Letters and Shah Abdul Latif Bhitai Cultural Association to mark the 263 'Urs' of the great Sufi saint. They said his voice repeats the echo of the ancient Indus Valley Civilization and is the expression of the same spirit which can be felt in the poetic works of Maulana Rumi, Shah Hussain, Baba Bulleh Shah, Khushal Khan Khattak, Rehman Baba, Khawja Fareed, Sacchal Sarmast, and other Sufi poets of our region. Chairman National Language Authority Professor Fateh Mohammad Malik was the chief guest on the occasion, while Chaiman PAL Iftikhar Arif, Dr. Ghazanfer Mehdi, and Dr. Aliya Imam were the guests of honour. Professor Allahwadhaio Baloch, Professor Amanullah Memon, Qasim Haider, Zahid Jatoi, and Shafiqur Rehman Solangi were the key speakers. A large number of students and members of the literary community participated in the seminar to pay tribute to the great mystic poet who preached peace and love for humanity. Stressing the need to delve into the philosophy and message of Shah Latif, Fateh Malik said that it is wrong to call him just a paramount poet of Sindh. Though he was the very soul of Sindh, yet we need to take pride in the fact that Latif is the greatest poet which the country that is now called Pakistan has produced, he said. He said that all the Sufi poets of this land are our national assets and should be treated the same way. Iftikhar Arif said that like all other mystic poets, Shah Latif is a symbol of national cohesion and unity. Giving details of various works and translations done on Shah Latif, he said that PAL has also translated Bhitai's works in Urdu in four volumes as well as in English and all the UN languages. Ghazanfer Mehdi said that Shah Abdul Latif of Bhit was a poet, philosopher and preacher, all in one. He said that Shah Latif's poetical works are not regional or homeland-oriented in the narrow sense. He said that Pakistani poetry is nothing without the works of Shah Latif. Dr. Aliya Imam talked about Shah Latif's love for humanity and persistent struggle to achieve his desired goal, stressing his followers to remain alert for eternal struggle. Professor Amanullah described Shah Latif as a revolutionary, urging his followers to walk on the un-trodden path and be ready to swim against the tide. Qasim Haider stressed the need to follow the message of Shah Latif to rid the society of all evils. Shafiqur Rehman Solangi stressed the need to promote Shah Latif's message of brotherhood to create national unity. "Idrib" : to beat, to push away or to go away? A new English-language interpretation of the Muslim Holy book the Koran challenges the use of words that feminists say have been used to justify the abuse of Islamic women. The new version, translated by an Iranian-American, will be published in April and comes after Muslim feminists from around the world gathered in New York last November and vowed to create the first women's council to interpret the Koran and make the religion more friendly toward women. In the new book, Dr. Laleh Bakhtiar, a former lecturer on Islam at the University of Chicago, challenges the translation of the Arab word "idrib," traditionally translated as "beat," which feminists say has been used to justify abuse of women. "Why choose to interpret the word as 'to beat' when it can also mean 'to go away'," she writes in the introduction to the new book. The passage is generally translated: "And as for those women whose illwill you have reason to fear, admonish them ; then leave them alone in bed; then beat them; and if thereupon they pay you heed, do not seek to harm them. Behold, God is indeed most high, great!" Instead, Bakhtiar suggests "Husbands at that point should submit to God, let God handle it – go away from them and let God work His Will instead of a human being inflicting pain and suffering on another human being in the Name of God." Arabic Language Professor at the American University in Cairo Siham Serry said her interpretation of the word "idrib," was "to push away," similar but slightly different from Bakhtiar's "to go away." Bakhtiar writes in the book that she found a lack of internal consistency in previous English translations, and found little attention given to the woman's point of view. In other changes to the text, she cites the most accurate translation of the word traditionally translated to mean "infidel" as "ungrateful." And she uses "God" instead of "Allah," saying that God is the universal English term. Bakhtiar has been schooled in Sufism which includes both the Shia and Sunni points of view. As an adult, she lived nine years in a Shia community in Iran and has lived in a Sunni community in Chicago for the past 15 years. "While I understand the positions of each group, I do not represent any specific one as I find living in America makes it difficult enough to be a Muslim, much less to choose to follow one sect or another," she writes. The new text is published by Islamic speciality bookseller Kazi Publications, which has a store in Chicago and online. Two weeks ago I drove to a nearby town to visit one of our parishioners who had been confined to bed in hospital. There was very little room for moving around. Carefully, I found a space to stand beside his bed and say a prayer for him. As usual, I closed my eyes. When I was about to finish my prayer, still with closed eyes, I felt a friendly presence gazing at me. And so, when I finished my prayer and opened my eyes, I was not surprised to find a man looking at me. His name is Foad. He is an Afghani, a smart thinker and a skilled dentist. Foad and I first became friends in Nepal. And here, after all of these years, was Foad standing in front of me with his unique and friendly smile. Foad is a very special person. He has lived through and experienced many different phases of Afghani History: The Kingdom of Afghanistan, the Republic of Afghanistan, Communist Afghanistan, The Soviet Invasion of Afghanistan, Mojahedeen Afghanistan, Taliban Afghanistan, and Post-Taliban Afghanistan. Together, Foad and I have experienced revolution, civil war, imprisonment, harsh spiritual ups and downs , and living in exile in Europe and Asia. Foad and his family now live in Germany. He had come to Canada to visit his dear grand-uncle who was in hospital and to see what Canada is like. For the first time in my life, I do not fear for the end of Afghanistan. You remember, my friend, those Taliban days, days filled with annihilation and ness. Some days, I feared that Afghanistan would simply be wiped from the of the earth. I have such good memories of our Kingdom and our Republic. Nothing could have prepared us for the arrival of our Satan, the Taliban. The Taliban suffocated our hope for peace, unity, democracy, and prosperity. We have supreme ideals for such things in our culture, in Sufism especially. But the Taliban destroyed our sense of peace, love, forgiveness, and freedom... especially for women. These ideals are now inspiring us to build a new and prosperous society, to reopen the dialogue between nations. I told Foad about a program that will shortly be held in Mono (sponsored by St. Mark's and St. John's Anglican Churches) titled: Faiths in Conversation: Three Progressive Voices in Today's World. Here, I told him, the voices of Islam, Judaism, and Roman Catholicism would come together in dialogue. This is the first scientific survey portraying the broad range of universalistic and traditional Islamic-mystical communities and teachers in Germany (Hazrat Inayat Khan, Pir Vilayat Khan, I. and Omar Ali Shah, Naqshbandiyya-Haqqaniyya, Sheikh Nazim, Burhaniyya, Salah Eid, Halisiyye, Sheikh Abdullah Halis Dornbrach, Tariqah as-Safinah, Sheikh Bashir Ahmad Dultz). The author discusses some aspects of the history of reception of Sufism in the German language area, starting from medieval connections, by intellectuals (v. Hammer-Purgstall, J.W.v. Goethe, F. Rückert, F.A.G. Tholuck) and in oriental sciences. Major focus is on the Sufi orders whose members are mostly Germans. Many follow the Cyprus-based teacher Sheikh Nazim al-Haqqani of the Naqshbandi tradition. But there are German Sufi Sheikhs as well who have been initiated in oriental countries. Schleßmann discusses the following questions: what do teachers expect of their pupils?, what are the conditions for a successful Sufi life in the western context?, what do pupils expect? The author shows that the Sufi movement has consolidated after a period of 30 years. The number of Germans converting to Islam is increasing especially amongst young men and women who take the decision to abandon their previous lives and become Muslims. Why? Three female converts from Hamburg give an answer. It was on a Thursday one and a half years ago that Sonja encountered Allah for the first time. A religious teacher of a Sufi Order extended his hand to her and suddenly there was, “this celestial feeling”. It happened to Ashraf two years ago. He resisted it to begin with but then he went into the prayer room. At some point he put his hands over his eyes and cried. It was completely different for Silke. She was sitting on her bed reading the Qur’an when she suddenly felt, “butterflies in her tummy”. As different as the descriptions of Sonja’s, Ashraf’s, and Silke’s ‘revelations’ are, there is one thing they all have in common: all three have converted to Islam. They each belong to different currents of Islam but what unites them as Muslims is the conviction that the world is Allah’s creation, that Islam is the last of the revealed religions, and that Muhammad is its Prophet. They are not alone; the number of Germans who take the step to Islam has increased greatly in recent years according to a study of the German Islamic Archives in Soest. Increasingly more young German women especially can be seen in the mosques of Hamburg for example. It appears that they are attracted by the Muslim world view that allows no division between Church and State, priests and laity, or divine and human rights. At least that is how it was for Sonja. Questions such as, “Who am I, what is the meaning of life, is there a life after death?” began to build up inside her but she found no clear answers. Until the day when a friend invited her to a hadra, the weekly meeting of the Sufi order of the Burhaniya Tariqa. Initially it was the social aspect and the dance-prayers that drew the passionate musician to attend every Thursday. Then she was given a prayer to read and finally something clicked. She can’t describe exactly what it was that convinced her but any doubts faded in relation to the general realization of the relevance of Islam. As-Sayeed Nurjan Mirahmadi will be appearing tonight. The distinguished Sufi instructor is coming here for the first time. Announced as “a unique experience in South America” and with the motto “releasing your soul” the event is supported by the municipal direction for local culture. Recognized world-wide as one of the best instructors of Sufi meditation and a founding trustee of the internationally recognised Islamic Supreme Council of America, he will be offering an open talk on the management of spiritual energy and the dance of whirling dervishes. The instructor of the Sufi Order announces that understanding the submission of the mind, body and soul is about learning the technique of meditation on the prophetic light; understanding the reality of the lataif (chakras), the angelic sanctions and the sacred energy in the five levels of the heart. Announced as a unique experience in South America, followers and lovers of alternative energies will have the possibility of establishing a first approach with the meditation instructor of the Sufi center this evening. The center organizes workshops throughout the year in different parts of America, Europe and Asia. As-Sayed Nurjan Mirahmadi, indicates that “we are surrounded by energy” and his teaching is about “learning how to interact with it and how to use it in daily meditation practice. Energy is strongly related to light, and is a medium by which spiritual blessings are transmitted and that can directly affect the states of the heart”. Amongst his planned activities while here, Mirahmadi will be available in the central library to sign editions of his books. «“Anam Cara”: poesia, saggezza e donne di pace» convegno internazionale organizzato nella città di Udine dall'associazione "All" (associazione laureate in lingue) su Donne di pace, sciamani, migrazioni, «r-evoluzioni». «“Anam Cara”: poetry, wisdom and women of peace» is an international conference organized in the city of Udine from the association “All” (association graduated in languages - pun intended) on Women of peace, shamans, migrations, “r-evolutions”. “Anam Cara” in gaelic language means “spirit friend” and by extension indicates a guide that can be a shaman or an artist, often a woman. Between those who fight in the storm were: Maria Fedulova (Russian Federation of the mothers of the soldiers), Zalina Tauchelova of the mothers of Beslan, Liz Goldstein of the “ American Mothers against the juvenile militarization”, twenty-years old Rae Abilhad of Codepink.org [women for peace] but also Maria Pia Cedolini, educator engaged in a project against the trade of human beings, Fausta Gerin of West [Women East Smuggling Trafficking], Chiara Romanello of Amnesty International. From another segment of reality, far from the spotlights but also often storm-tossed, two shamans : Granmother Sara, leader of the native-americans Mohawak, and Habiba Sufi, a tabib [healer] from Uzbekistan. Nearly impossible not to remain bewitched discovering myths of the creation told by Granmother Sara from the "Turtle clan" or learning more about the historical and religious patchwork which lies behind Samarkand and Uzbekistan, the land where from Habiba's sufism comes. What they all have in common is a “R-evolution”… to use an expression stolen from a verse of the South African poet Natalia Molebatsi. It is not often that music lovers encounter the blend of so many diverse tunes on one single platform. Presenting a unique and fascinating merger of classic Arabic, Spanish flamenco, Rajasthani tribal, carnatic, hindustani classical and many more tunes is the musical production ‘Darb-Al-Harir’ (‘The Silky Paths’) which will premier at the NCPA on March 23. Probably the only production of its kind, Darb-Al-Harir attempts to familiarise audiences with various sounds predominated by heart-wrenching Sufi poetry. 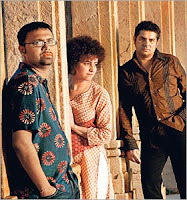 The group has performed in several cities across India and has received diverse reactions from audiences, though they believe in maintaining the identity of every musician in the group. “We have extreme genres like carnatic classical and kutch bhajans put together, but we want listeners to identify with each sound differently,” he says. The eight-member production is a collaborative effort by Musica Productions (India), Alterites Continents and Musiques (France) in association with The French Embassy; it plans to travel across Europe in late September. Hilfssteuermann des sufistischen Glaubens: Scheich Hassan Dyck. Hassan Dyck: You can imagine it like a picture, the Shariah, Islamic law, is the sea and Sufism is the ship. It is the practical application of Islam whose commands to sincerity, humility, and discernment are our orientation points. The Sufi path is one of learning, experiencing, and tasting faith. Muhammed once said that the aim is to perfect the human character, this is our aspiration. Do you taste your religion? Dyck: If I didn’t then I would have left this path that I’ve been on for thirty years a long time ago. Belief must be experienced otherwise what is the purpose of religion? God doesn’t need our belief. Dyck: I am like a helper to the helmsman, the head of our order, Muhammad Nazim Efendi, who lives in Cypress. How do we imagine a Sufi evening? Dyck: I play classical cello and I bring in Oriental influences. It sounds like minimal jazz, blues, and trance. The ideas in the songs come from the Sufi tradition and I translate them into contemporary language. In my ‘Ego Song’ I sing, ‘I, I, I, want everything for me.’ It can be very funny as well. Finally we have a 1500 year old Sufi practice behind us. I lead the participants in dhikr, the remembrance of God. 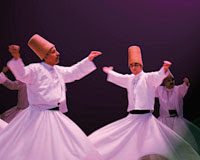 Motivated by the chanting in which holy words are repeated hundreds of times the dervishes begin to dance by whirling. What is the aim in this? Dyck: We imagine that the human soul is a mirror that reflects the divine light. The bad in the world obscures the mirror with a thick layer. Ecstatic mantra singing works like steel-cleaner. You have to scrub until the ray of light is reflected again. Dyck: I perceive Islamophobia. There isn’t enough clarification therefore we strive all the more to present the beautiful side of Islam. Is it necessary for a guest to be familiar with Sufism? Morocco: Faouzi Skali offers a Sufi festival to Fez. L'anthropologue Faouzi Skali vient de dévoiler le programme de la première édition qui se tiendra du 27 avril au 2 mai prochains. The anthropologist Faouzi Skali has just revealed the program of the first edition [of the Sufi festival] which will be held from April 27th until May 2nd [in the city of Fez, Morocco]. He specifies it immediately: his aim is not to make a festival of “spirituality”, for spirituality does not need a festival: it lives at the bottom of the heart. On the other hand, Faouzi Skali affirms his will to popularize the sufi spirit and to go beyond the framework of the Brotherhoods (Turuq Tijania, Qadiriya, Boutchichiya, Charqawiya and Ouazzaniya will be equally represented). And indeed, the programming of the Festival shows the diversity of the Sufi culture. The young "slammer"Abdelmalik will be present, to incarnate the revival of sufi poetry. The film “Bab' Aziz, the prince who contemplated his soul” by Nacer Khemir, will be projected to represent a cinema which "does not need to say that it is sufi because, simply, it is". Many more and more traditional events are envisaged throughout the six evenings. ANI/DI Cor - Daily India - Jacksonville, FL, U.S.A.
Sufism is an integral part of Indian heritage, and people of all faiths revere Sufi saints. These feelings of communal amity come out loud and clear during the annual Urs ceremony of Sufi saint Baba Barchchi Bahadur here in Aligarh. The baba's dargah or mausoleum lies adjacent to the railway track in Aligarh. It is 600-years-old. A large number of devotees from different religious backgrounds come to pray at the Baba's dargah. "We come to this dargah, as we find happiness. All our wishes are fulfilled. Baba fulfils all our wishes," claims Sapna, a Hindu devotee. Jagat Singh, a Sikh devotee, says, "Ever since somebody told me about this dargah dedicated to Baba, I have been coming here regularly. Barchhi Baba accepts the prayers of all those who come here with faith and love in their hearts." The annual Urs is attended by a huge gathering of devotees. Qawwals sing paeans in praise of the saint, people offer chadars and threads and the faithful distribute food to the needy. Aushe, a Sufi Qawwal who sings hymns in the dargah complex, has immense faith in Baba. He believes the Baba showers his blessings on Hindus, Muslims, Sikhs or Christians, and adds that everybody's prayers are accepted. Legend has it that when the Britishers were laying railway track in Aligarh in the 19th century, they found the Baba's dargah coming in the way and sought to shift the mausoleum. When the first step was being taken to shift the mausoleum, trains started getting jammed, and the railway authorities then had no alternative except to change the direction of the railway track. Thus, Baba's miraculous powers were established. To this day, irrespective of religious barriers, Baba's dargah is visited by one and all. The trains running on the nearby tracks also slow down to pay respect to this saint. What more can be said? Résumé du roman *Bleu univers* de Tarek Issaoui: Un mathématicien découvre la forme de l’univers. Au fil des pages, il livre le fruit d’une réflexion qui embrasse sciences, arts et mystique. Summary of the novel *Bleu univers* (Blue universe) by Tarek Issaoui: A mathematician discovers the shape of the universe. Through the pages, he delivers the fruit of a reflexion which embraces sciences, arts and mystic. There is also in this novel, a wink - light but real - at the sufi mysticism for which the universe can concentrate on one point and for which the search can lead only to one vision among so many others of the truth. To gather all the directions in only one, to fold up the space, to curve it. To end up drawing this sphere whose center is everywhere, and the circumference nowhere. In short, to approach the sacred letter Alif, this place where, without merging, are all the places of the Univers, seen from all the angles. Canada celebrates UNESCO "Year of Rumi"
"Igenni n Rebbi, ma t-tamurt n vav-is"